On 21st of March (2105) I gave a presentation at NEST I/O an incubator / accelerator in Karachi, Pakistan. 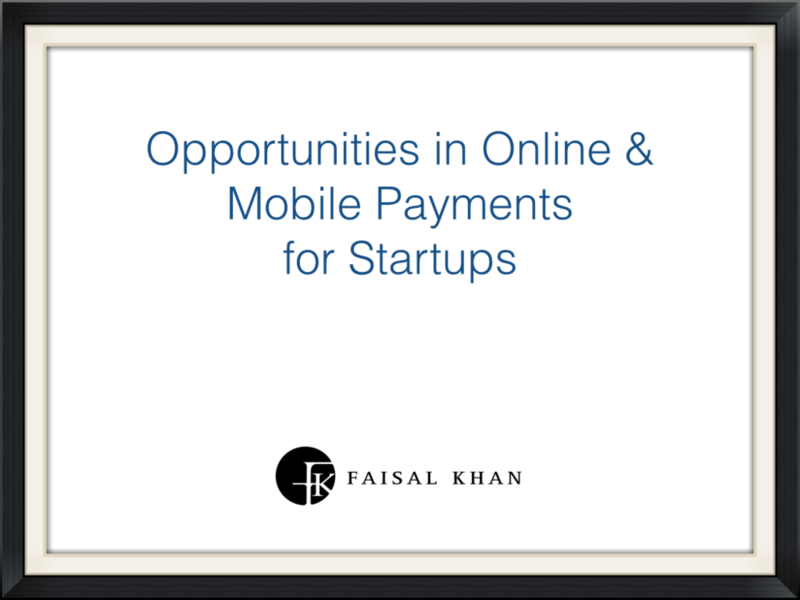 The topic of the presentation was Opportunities in Online & Mobile Payments for Startups. Feel free to use and distribute, modify, etc. there are no copyrights on the presentation. As discussed during the presentation, the two organizations who have stepped forward to help / learn & talk to startups in the fintech space are EasyPaisa/Telenor and Bank Alfalah. Please note, the two gentlemen listed below have a busy schedule. Please be courteous. You should always try to email them first rather than just cold-calling them. Provide them with a brief overview of who you are, what you are trying to do, and explain a little bit about your idea/solution. Setup a time that is convenient and only then hop on a call. Do not abuse the privilege of time and courtesy that others extend out to you.